Red warrior needs artwork badly! Re: Red warrior needs artwork badly! 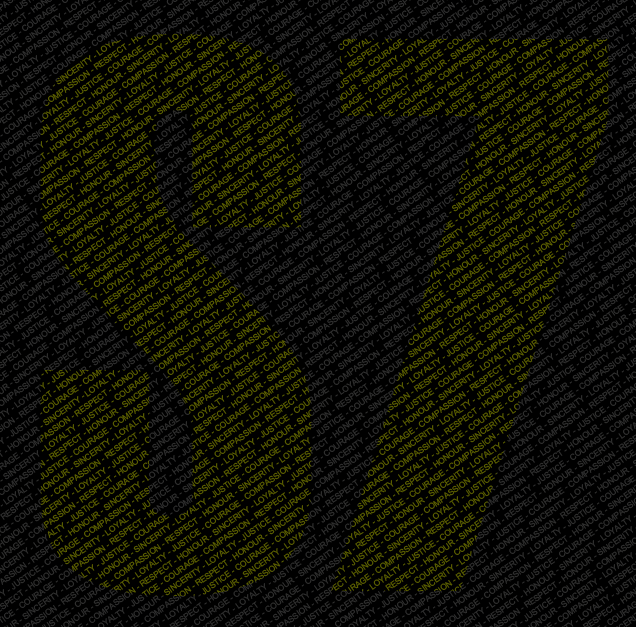 You just want a logo made for S7? I'll ask some of my friends from art school to throw some ideas my way. 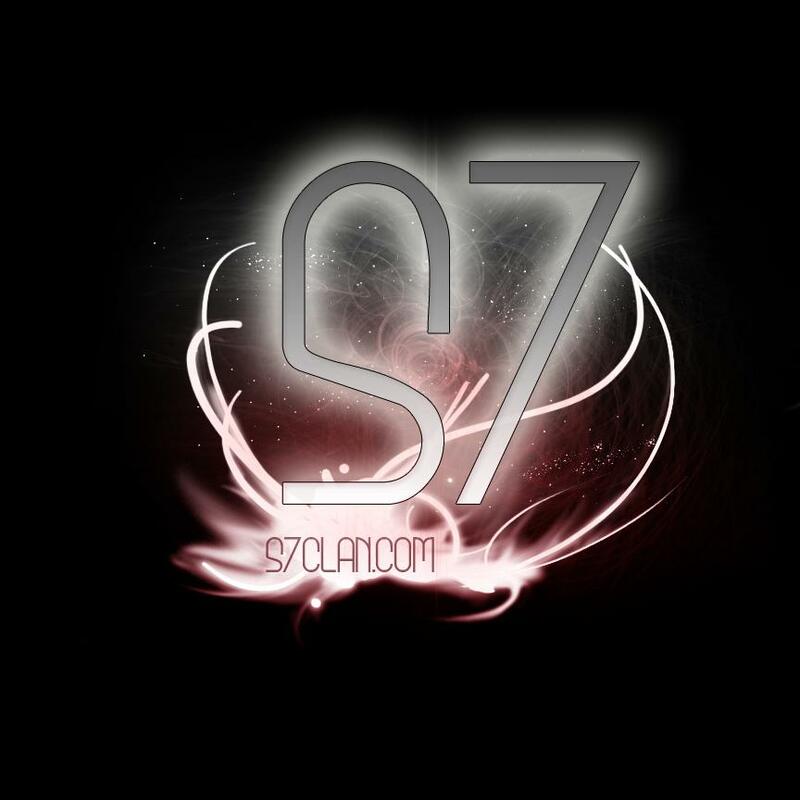 AtrumX wrote: You just want a logo made for S7? I'm pretty sure I've finished all my grad scheme work and interviews for this week, so I'll probably crack open photoshop and freestyle a bunch of stuff. Just doing some grungy ones whilst I get used to PS again. Will try and give a mix of these and some emblems and/or text-heavy ones. S7 Epic wrote: Just doing some grungy ones whilst I get used to PS again. Will try and give a mix of these and some emblems and/or text-heavy ones. Very nice. Post a version on a transparent background? I was gonna but tbh, it'd look awful an anything other than black. If needs be I can always feather it out a little. Yeah that's fair, most designs on black are that way. Still pretty slick. 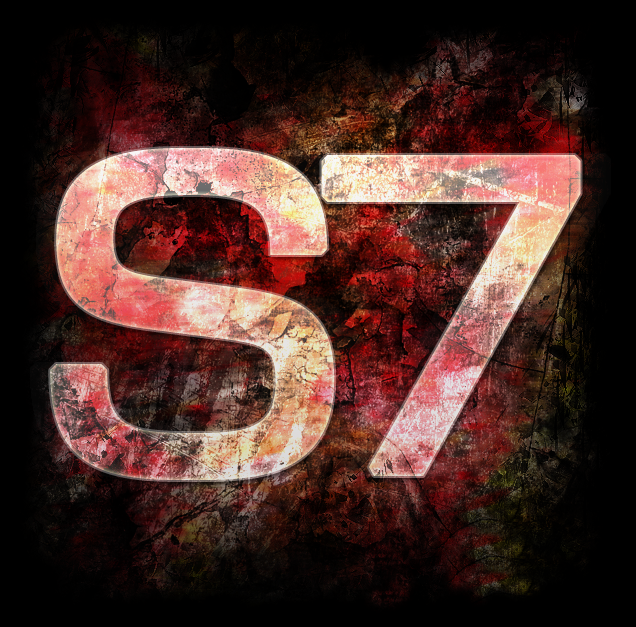 Just a generic S7, or do you have a theme in mind? I've done this style before and this is a pretty plain variation on it, so I may come back and do a better one later - if I can make a decent logo that would work with it (i.e. not too detailed). For some quickly put together stuff they look pretty good Epic. That is a really awesome idea! I think what it will be going on will be too small to make out the text though, so maybe a little bigger on the virtues so they show up on a small item. It doesn't work with larger background text unfortunately, the foreground text becomes hard to read and choppy. It's a pretty simple design to make though, so if Droopy (or anyone else) has a specific item (mugs, t-shirts?)) in mind for it's use, I can redo it at a more usable size. 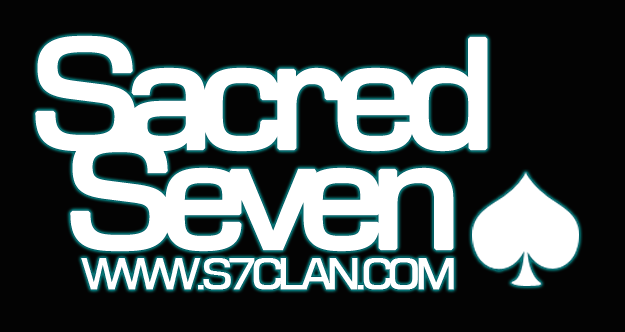 The two smaller characters mean Sacred, center one is 7. That's pretty sweet, but are you sure it doesn't mean like two deer f*cking or something like that? S7 SockPuppet wrote: That's pretty sweet, but are you sure it doesn't mean like two deer f*cking or something like that? Just purchased Photoshop, gunna boot er up and make some thingers if you still need any. It has been 3 years since I have used Photochop. Edit: I don't know how to post images I guess. This should work. Great job guys , keep them coming!